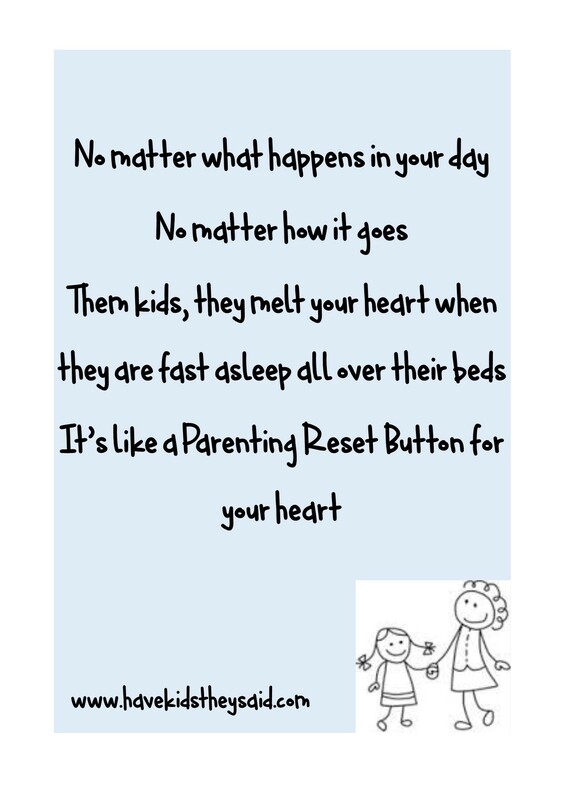 A Parenting Reset Button for your Heart | Have kids, they said. It'll be fun, they said. … and then you stare at them too long with a dumb smile on your face, and they sense you are there are and WAKE UP. And you freeze like a deer in headlights and back out of the room v.e.r.y. s.l.o.w.l.y ….